a creative momentum project aims to connect micro-enterprises and SMEs in the creative and cultural industries sector to increase transnational activity, which will hopefully lead to collaboration as well as increased international trade. Participating in Creative & Cultural Industry Events in other partner regions will help creatives to connect with potential markets and audiences, as well as provide networking opportunities. The cost of participating in such events however can be high. Therefore a creative momentum project has selected five established events ‘Creative Hotspots’ across the five partner regions and will fund relevant creative enterprises from the other partner regions to participate. We are currently seeking applications for support to participate in the Galway Film Fleadh – Ireland’s leading film festival which takes place in Galway, Ireland during 11-16 July 2017 (including travel applicants would need to be available 10-17 July). We are seeking applications from Northern Finland, Mid-Sweden, North East Iceland and South East of Northern Ireland. 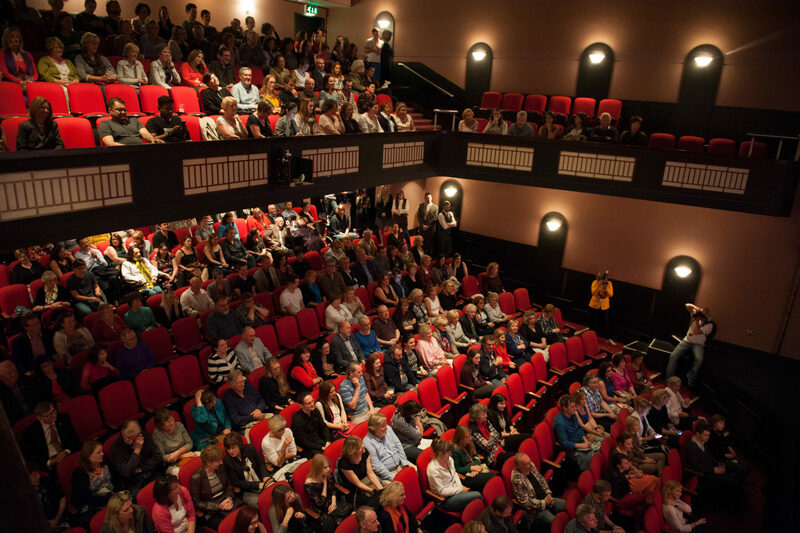 The Galway Film Fleadh is a six-day international film event held every July and welcomes a mad diversity of filmmaking from around the world. The Fleadh is very much a film lovers’ festival, and attracts directors, actors, cinematographers and artists of all generations and cultural backgrounds. 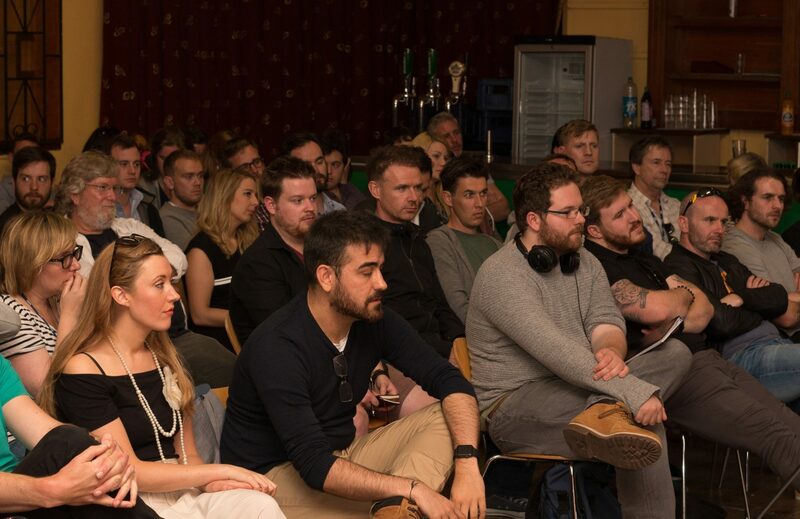 Now in its 29th year, the central goal of the Galway Film Fleadh remains unchanged: to bring together audiences and filmmakers within an intimate environment, and share a common experience – the wonder of cinema. 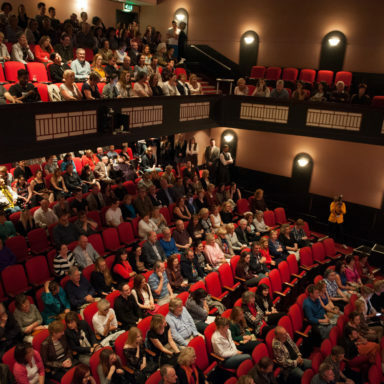 The Fleadh’s diverse audience is made up of the general cinema going public, film buffs, industry professionals and invited guests. Screening approximately 100 Feature Films and 100 Short Films over the course of six-days in July the Fleadh is also an Oscar Qualifying Festival in Short Animation and Drama categories. 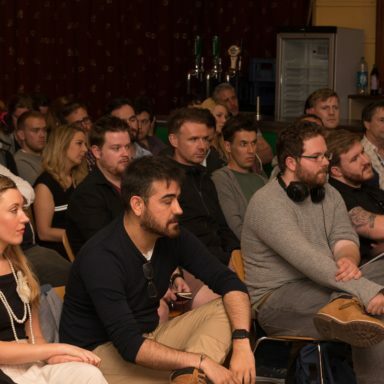 The Marketplace at the Galway Film Fair, the industry arm of the annual Galway Film Fleadh, is a unique opportunity to meet with the world’s leading financiers in an intimate and informal atmosphere, allowing new talent to be discovered and long term partnerships to be made. 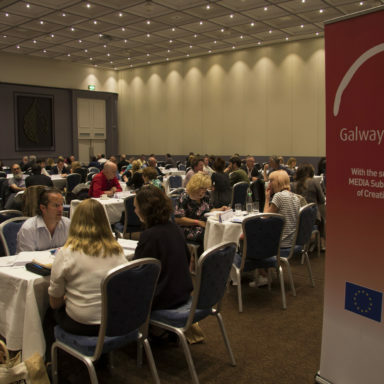 The Marketplace at the Galway Film Fair (13th-16th July 2017) takes place during the Galway Film Fleadh (11th-16th July 2017) and co-ordinates pre-scheduled meetings between filmmakers with projects in development and/or completed films and invited Film Financiers, Distributors, Sales Agents, Broadcasters, Film Funds and Major Producers. A pre-selected group of Irish and European producers with feature films/documentary projects will have the opportunity to meet with representatives of these companies. A project book will be available for all decision makers and in the case of completed films viewing facilities will be available. 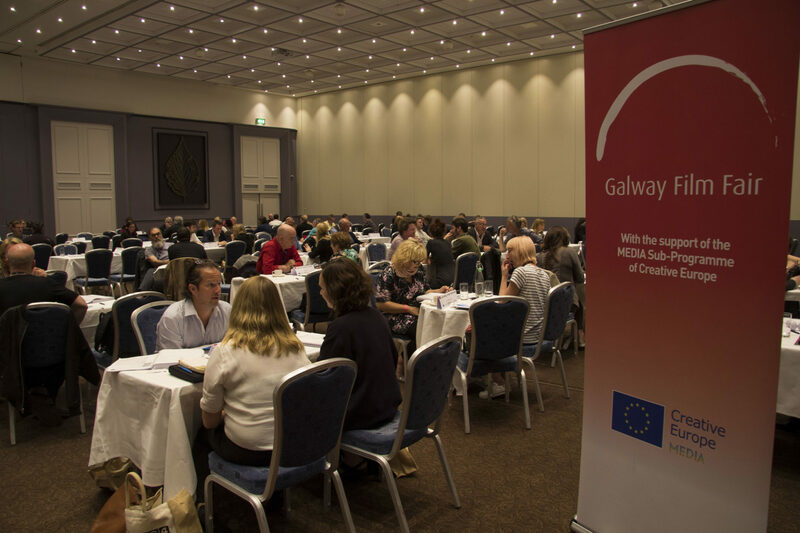 Alongside the Marketplace many other industry events take place at the Galway Film Fair including conferences, seminars, masterclasses, debates, workshops and much more. a creative momentum project is a three-year, transnational project co-funded by the EU Interreg Northern Periphery and Arctic (NPA) Programme. It supports the development of the creative industries sector in regions across Europe’s Northern Edge. The project is being implemented in five regions – Mid-Sweden, Northern Finland, South East of Northern Ireland, West of Ireland and North East of Iceland. There are six organisations implementing the project. Operate in the Arts, Crafts, Design or Media & Technology sectors. Submit a CV with their application by e-mailing to support@mycreativeedge.eu. Films can be submitted in the following categories: feature length film including, but not limited to, documentary, animation, experimental and narrative feature film. A feature film is considered to be 52 or more minutes in length. In all categories, any film that has been previously broadcast (television or online video-on-demand, including YouTube) in Ireland or screened at another festival shall have less priority in programming terms than those that will premiere at the festival. All competition categories are judged by the audience and/or a jury of industry professionals. If your film is accepted to screen at the festival, we will require a screening copy that must be one of the following 3 formats: 35mm / Blu-ray / DCP. WE DO NOT SCREEN FROM DVD or STANDARD DIGITAL FILE (avi, mp4, mkv, etc.). You will be required to fill out a technical sheet detailing formatting specifications such as aspect ratios and audio levels. This is to ensure that we can provide your film with its the best possible screening. DVDs, Blu-rays, USB storage devices or digital screener links are accepted at submission stage. Please label all physical submission materials with the film title, director’s name, length, if screener is a rough cut and available screening format(s). Online screeners will be considered. We will accept any private download or passworded link i.e. Vimeo, WeTransfer, Dropbox, Cinando, YouSendIt, etc. YouTube links are not accepted. The entrant agrees that up to three minutes of their film (visual or audio) may be used by the festival in promotional activities. These can include screening a clip on television and/or radio and the festival’s website and/or social media presences. Best Irish First Feature (Audience Award): Irish dramatic films by a debuting director are eligible for this category. International productions considered if the Director is Irish. Best International First Feature (Audience Award): Any feature length dramatic film by a first time director are eligible for this category. Best Irish Feature Documentary (Audience Award): Irish documentary films from new and established filmmakers are eligible. Best International Feature Documentary (Audience Award): International documentary films from new and established filmmakers are eligible. Best Irish Feature (Audience Award): Irish films from new and established filmmakers are eligible. Best International Feature (Audience Award): International films from new and established filmmakers are eligible.